Up to 16 SEER which is qualifies for Energy Star. Eligible for tax credit when matched with other eligible components. Uses R-410A refrigerant which is environmentally responsible. Equipped for ComfortNet Communications System. ComfortAlert diagnostics with fault codes for easy diagnosis of problems. High- and low-pressure switches protect the compressor. Quiet and efficient 2-speed condenser motor. Limited lifetime warranty on the compressor includes limited 10-year replacement of the entire unit. 10-year parts warranty on all other parts. Extended warranties available. Installation costs are not cheap – but they cost less than having to prematurely repair or replace a unit that has been improperly installed. It makes most sense to hire a qualified contractor to handle the work. This will ensure that your warranty is in effect should anything go wrong. And when a gas furnace is also being installed as part of the entire system, you want a professional doing the work due to the danger of gas or carbon monoxide leaks. 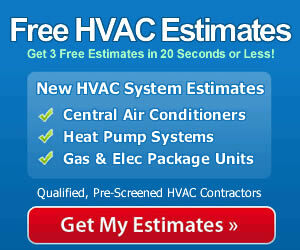 The safest bet in every sense of the word is to let a pro install your next system. They’ve got the skills and experience to install, setup and tune your system to be as safe and efficient as it was designed to be.